It gave an insight into the podcasters as well as the lenses. Quite a bit of discussion on the Sony as well. Glad you enjoyed it Tom, and thank you for the feedback! 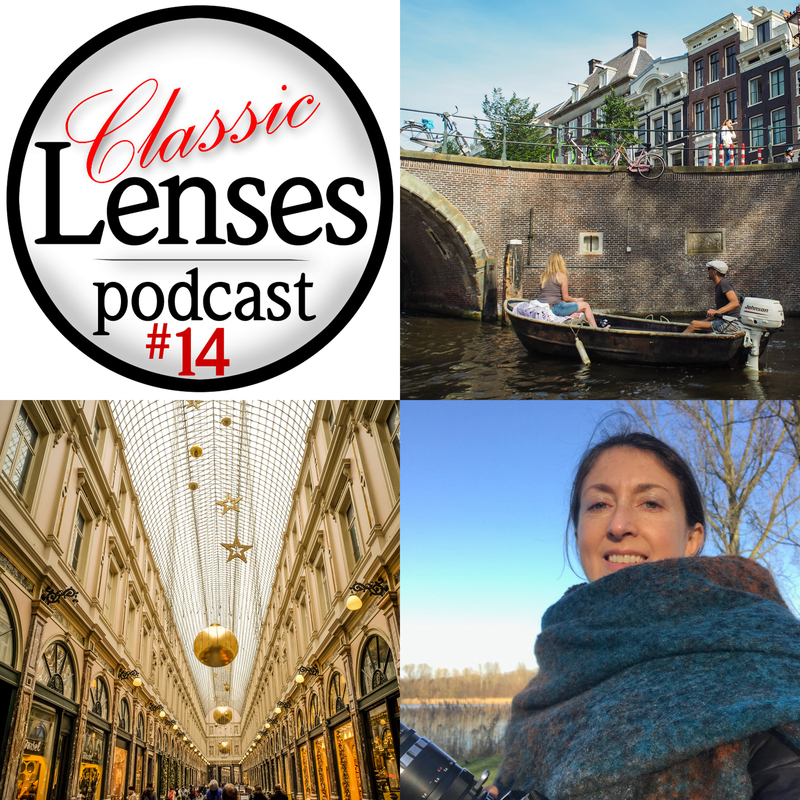 We've moved away from the let's talk about specific lenses format and become more conversational, that's not to say that we won't do the deep dive stuff again, as there are many lenses we would like to discuss in some detail. Listener figures keep growing so it's good to see that we are doing something vaguely interesting and that there's a very healthy interest in using manual focus lenses in this autofocus world. In this episode, Karl Havens, Johnny Sisson and Simon Forster are again joined from Sweden by Per Edman. From the comments we received about last week's podcast, we felt there was some unfinished Minolta business, Per is back for more Rokkor action. Plus a bit of Voigtlander Zoomar and Helios-40. No podcast next week as Simon is attending The Photography Show at the Birmingham (UK) National Exhibition Centre. Simon will be on the K&F Concept stand for all four days, so go and say hello to him! 17th - 20 March. The podcast will return on 26 March. Great podcast! I have quite a collection of MF lenses myself, Takumars, SMC Pentax M and Canon FD. I still shoot film, but I may get a digital mirrorless camera for fun. I used to work for the UK importer of Mamiya cameras as a service technician. I see this is your first post on MFLenses and you are from Stoke too! Your surname would not be a part of the body would it...? Hi Simon, it would indeed! I'm going to be on the K&F Concept Stand for all four days of The Photography Show at the NEC, are you going to make a visit? Afraid not sorry, as my main interests are vintage cameras and lenses. I do have a Pentax K7 though, but I enjoy film more. I enjoyed this podcast as well - thanks again for putting it together. The conversational style is working well. I get the impression that a future episode may examine 135mm lenses. If so, perhaps you might like to consider families of designs - eg the sonnars, Ernostars etc and the many lens manufacturers that used those designs. 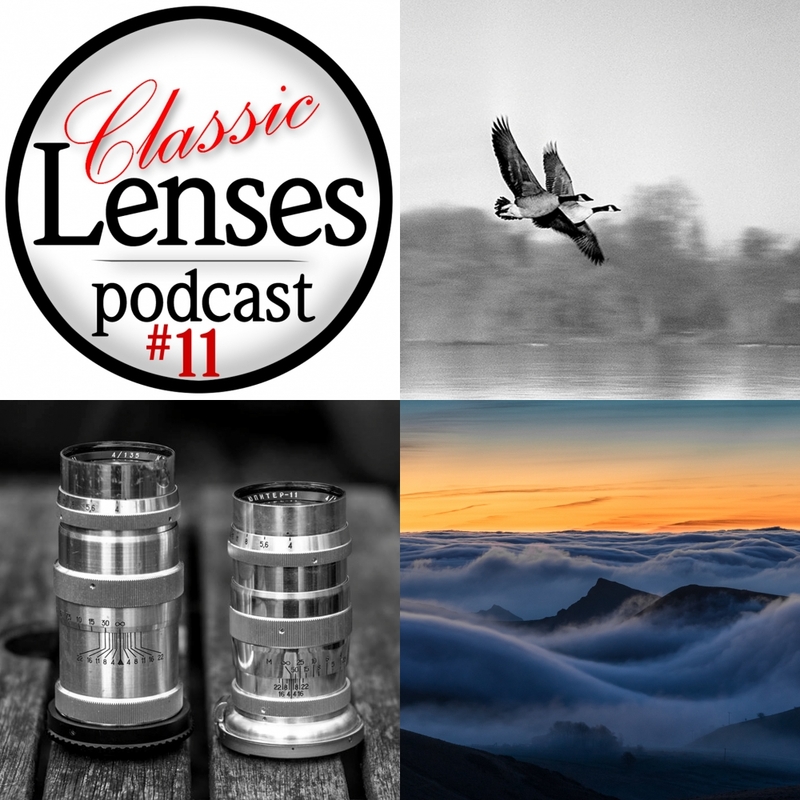 I've just listened to the Pentax Takumar podcast again. SMC coatings, when they were first used, were the same as Zeiss coatings at that time. Zeiss asked Pentax to develop a new camera for them, but the electronics were unreliable so they went to another manufacturer and gave Pentax their coating technology as a form of compensation. The SMC lenses were slightly different from the Super Takumar lenses, in that they had an aperture coupling lever for the ES and Spotmatic F. This allowed them to use open aperture metering. The Force is clearly strong in you Tom, as 135's will indeed be the next main topic. I'm not sure how it will work exactly, as it's the first time we've done a deep dive since moving to the conversational (make it up as we go along to be more accurate) format. Well I have no idea with regard to your first point Ian, and and you've just taught me something about the ES and Spotmatic F! 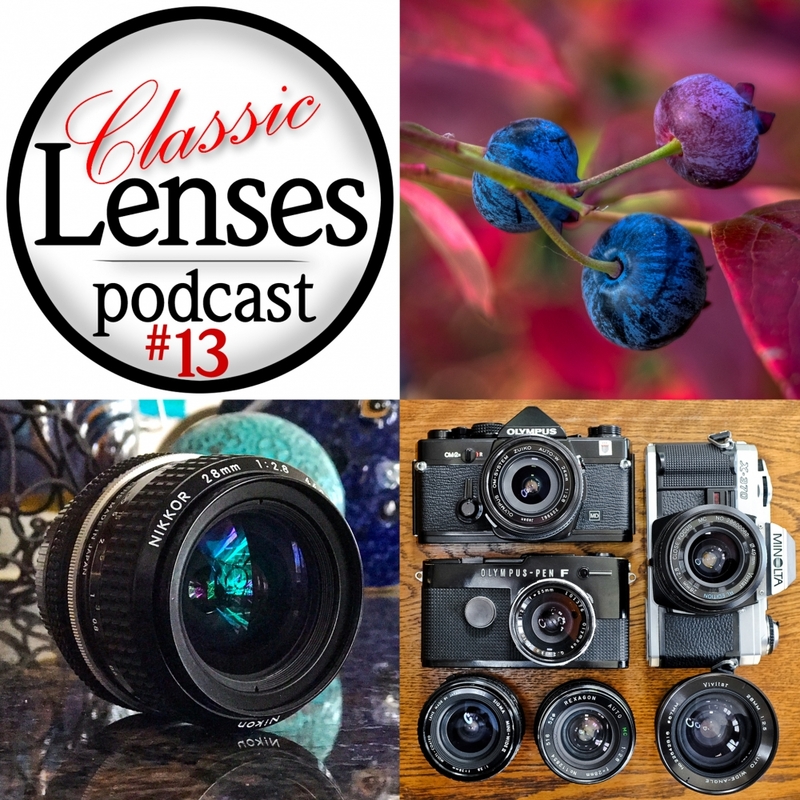 Yes, it was Karl's question about 135's on Classic Lenses FB that gave a clue. Anyway, it will be interesting to see where the conversation goes in the next episode. Back after a two week break! A long one this week! 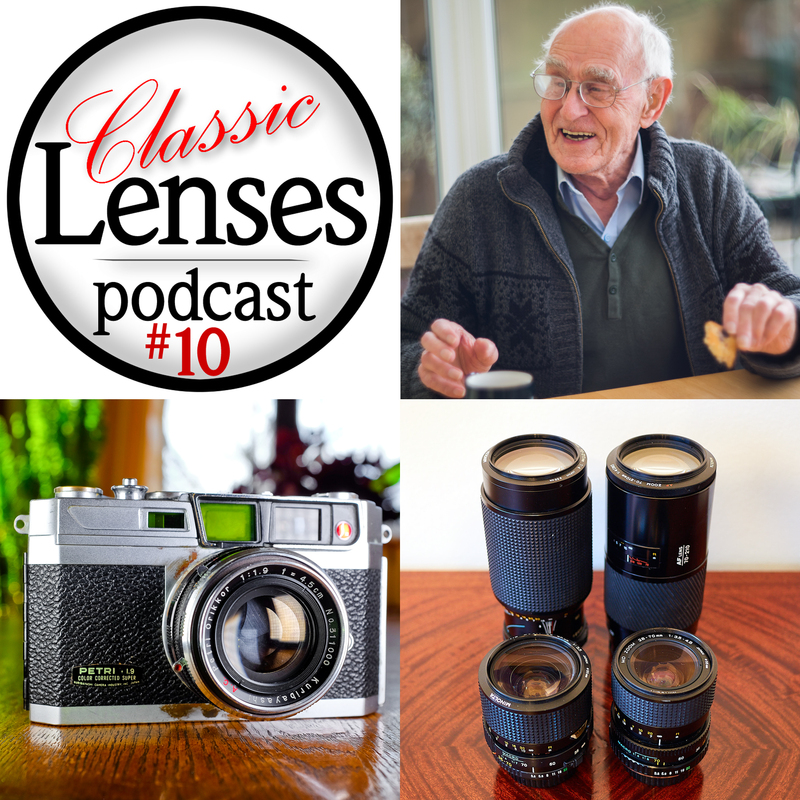 In this episode Geza Singer, a prolific Hungarian born photographer started to shoot with a Lubitel 2 TLR in the early 1960's whilst in exile in Transylvania, tells Karl Havens, Johnny Sisson and Simon Forster how he managed to complete his formal photography education in London. Moving on to covering the US Vietnam protests with an Exakta Varex through to his current day work. 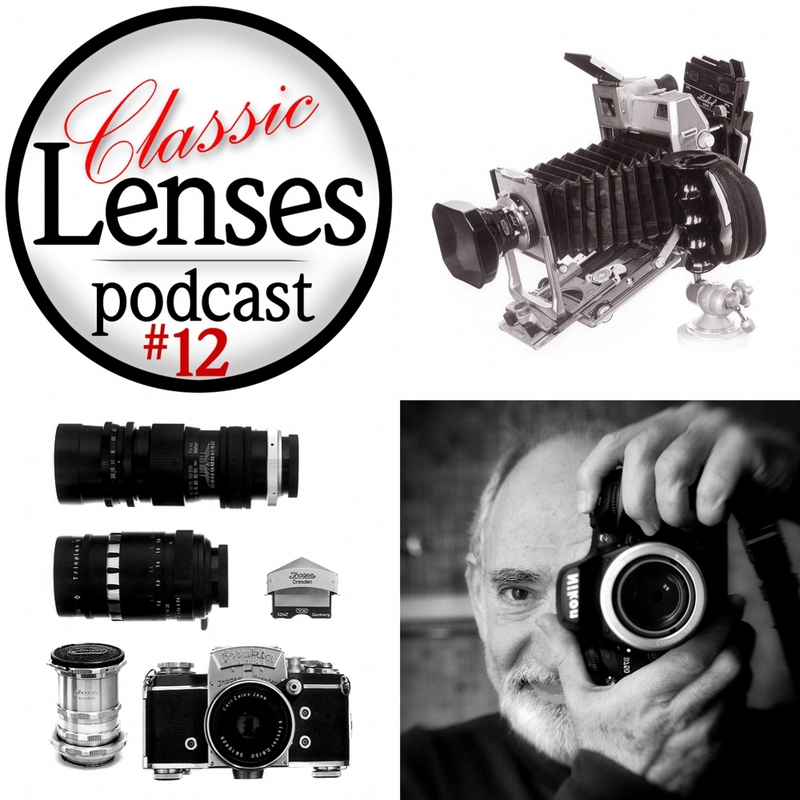 This week, Karl Havens, Johnny Sisson and Simon Forster talk about lenses in the 24-28mm range. Thank you too Sjak, I was beginning to think that I was the only person still visiting this thread! Another interesting podcast and thank you all once again for your contributions. Several times during the discussion it was mentioned that 28mm lenses were cheaper to produce than 35mm lenses, and this was news to me. I was wondering if anyone could elaborate on why this might be so, given that the challenges of successfully solving the optical problems of a wider versus not so wide lens seem to intuitively indicate that 35mm would pose fewer problems. Thanks again for your input fellas. I have to admit, that came as a surprise to me too. I'll ask Johnny to back up his claim! No, there are some of us lurking, too... I've found these podcasts fascinating, though I'm still a few behind, and have tweeted and posted about them elsewhere. Keep up the good work. Thanks for the feed back from last week's episode, Johnny does his best to dig himself out of the hole he dug! Happy 90th birthday, Barbara B. Crane!